Star Citizen Blog: Patch 2.3 auf dem PTU! Ich habe gestern in der Diskussionsrunde niemanden gesehen, der an einen so frühen Release geglaubt hätte. Man muss sagen, dass sie mit den Aussagen, die in der Woche getroffen wurden, eigentlich einen Release in den nächsten Tagen ausgeschlossen war. Sie wollten erstmal die interne Qualitätssicherung die neuen Features anschauen lassen und dann nächste Woche entscheiden, was reinkommt. Ben hatte in einen Interview auch noch gesagt, dass es diese Woche keinen Patch mehr gibt. Insofern Hut ab CIG, diese Überraschung ist sehr gut gelungen. Da es bei weitem nicht so viele neue Inhalte wie in 2.2 gibt, würde ich damit rechnen, dass es jetzt recht schnell geht mit der PTU-Phase. Sehr positiv ist der Release des Patches auch in Richtung Patch-Release-Strategie zu sehen. Dort sah es bisher nicht so aus, dass Chris Roberts mit solchen "kleineren" Patches irgendetwas anfangen könnte. Das lässt also hoffen, dass sie sich wirklich auf den Datums-getriebenen Releasezyklus einlassen wollen. Eine sehr positive Entwicklung. Bleiben noch ein paar weitere Dinge, die mit dem Patch neu sind. Auf dem PTU (wahrscheinlich nicht wenn der Patch live geht), ist der Arena Commander deaktiviert. Sie wollen die Tests auf die Crusader-Map beschränken. Um Port Olisar gibt es jetzt mehr KI-Sicherheitskräfte, die Spieler mit Kriminalitätslevel beschießen. Außerdem gibt es im Komponentensysstem jetzt die Energiekerne (Power plants). Diese können jetzt auch auf dem Holotable konfiguriert werden. Für den FPS-Teil gibt es zwei neue Waffen und viele Bugfixes. Alpha Patch 2.3.0 has been released to the PTU, and is now available for players to test! This patch provides access to our new flyable Khartu-al, the hangar-ready Starfarer (and a corresponding hangar bay it can fit in), as well as two new FPS weapons, new components, updates to FPS animations and EVA, as well as numerous fixes across the game. During this initial testing phase, PTU access will be restricted to a small group of players that we will expand on over time as required. Your launcher should should show “2.3.0 – 334301” as the client version. It is strongly recommended that players delete their USER folder for the Test client after patching, particularly if you start encountering any odd character graphical issues or crash on loading. The USER folder can be found (in default installations) at C:\Program Files\Cloud Imperium Games\StarCitizen\Test. Please review our current list of Patch 2.3.0 Known Issues, and take full advantage of our Issue Council area of the Community site to report any bugs you encounter, as well as contribute to other players submissions. Arena Commander will be disabled for this first testing phase, as we want very much to test Crusader performance. PTU players in this initial test will have access to the Khartu-al in AC and Crusader, and the Starfarer (if you have the Revel & York hangar on your account). The Cry-Astro Repair Station landing pads will break if a pilot takes off during the repair sequence. Certain AI in Crusader are experiencing some difficulty flying. There is a known issue where users with the Starfarer Gemini will not see the Starfarer Tanker in the Revel and York hangar. We should have this fixed soon! The ambient audio from Dumpers Depot broadcasts through all of ArcCorp. The Revel & York Hangar has a new extra-large hangar bay attached to its left outer hangar bay. The hangar bay does not appear on the Hangar Management on the website. Instead, if you have a Starfarer on your account and the Revel & York hangar configured as your active hangar, it will auto-load the extra-large hangar and add the Starfarer. We have added additional Security AI around Port Olisar, that will attack any players that have a wanted level. The Starfarer Base is now Hangar-ready! This ship can be viewed only in the Revel & York Hangar, via its new extra-large hangar bay. If you have a Starfarer on your account, you will only need to activate the Revel & York hangar on the website and then load into it in-game. The Khartu-al is now flight-ready! We have continued our large update to our existing Ship component system. This is largely at a back-end level – implementing a new component class system, naming conventions and other needed functionality, as well as retrofitting all existing ships to be compatible. These changes will allow us to implement a greater range of modular internal ship components. Additionally, this allows components to interact with one another in a more direct and less “handwavium” simulation of a ships internal systems, setting the foundation for greater player interaction and future game play mechanics. We have a new component class – Power Plants – have been added to the Holotable. Power Plants (as you expect) power the systems of the ship. All ships have been retrofitted with generic power plants to provide the same level of “power” they possessed before. We have added two new FPS weapons to Crusader! One is the Arrowhead Sniper Rifle. The other is the Devastator-12 Shotgun. Both can be found in groups of three, as random finds in the Yela Asteroid field. These include improvements to starts, stops and steps transitions. Added animations for cover “high right” blind fire. Update both “high right” peek from cover, and “high right” step out animations. Adjusted animations for sprinting while holding a stocked gun. Adjusted the animations for leaning out of cover, as characters were sticking out much too far. Adjusted the sprint animation for both unarmed and carrying a pistol. Added lean in and out of cover for blindfire animations. Adjusted the aim-down-sights animations while in EVA, so it is no longer slower than when aiming-down-sights on foot. Fixed issue where the audio of players footsteps and other movement sound FX is very very quiet to other clients. Fixed an issue where looking up while running forward would cause the character neck to contort unnaturally. Fixed an issue where weapons could be “lowered” while prone, causing odd animation errors. A lighting update around Area 18 has begun! Fixed an issue where some of the weapons in Cubby Blast were missing textures. Fixed an issue where a creepy shadow lurked around the incinerator in ArcCorp. Fixed an issue where the small monitors in Jobwell, Area 18 were missing detail levels. Fixed an issue where the damaged Hornets wing in Dumpers Depot was missing a prop item. Fixed some texture conflicts in around Dumpers Depot. Fixed an issue where some of the ashtray and canister props throughout ArcCorp were missing detail levels. Fixed an issue where some of the table and chairs in G~Loc were out of position. Fixed an issue where the player could become physically desynced, causing one user to be stuck on the floor of the other users screen. Fixed an issue where the Pirates for several of the research missions would destroy the objective before the player could reach it. Fixed an issue where some of the Pirates from the third research mission would not attack the player until fired upon. Fixed an issue where the landing pad lights in Kareah contained some glitches. Fixed an issue where the Covalex shipping hub textures and objects would stream in slowly. Fixed an issue where the audio trigger for entering a “monitored zone” was playing when a character spawned at Port Olisar. Fixed an issue where the ceiling in EZ Hab, Port Olisar, could be clipped through. Finished the relight pass of the VFG Industrial and Aeroview Hangar. Fixed a small collision issue with the VFG Industrial crates. Fixed an issue with the “Parking Zone” decals in the Aeroview hangar disappearing at certain angles. Fixed an issue where the MMHC Wall Decal was inside of the nearby fishtank. Fixed an issue where the tutorial hangar doors made no noise when they opened or closed. Fixed an issue in the Tutorial, where Gilly’s dialog subtitles would cut off or display debug text. 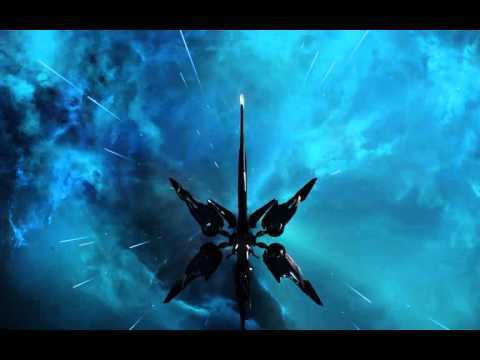 Fixed an issue where the Drone Sim, Vanduul Swarm timer will continue ticking even if paused. Fixed an issue where large props like the terraformer in Arena Commander would become detached or divide into pieces after having been bumped. Fixed an issue where positional movement of the character model can become highly erratic or uncontrollable when transitioning from Gravity to Zero-G. Fixed an issue where the user camera would become delayed or lagged when boosting in EVA. Fixed an issue where characters could sometimes lose collision after trying to EVA into a ship with interior physics grid. Fixed an issue EVA thruster audio was not affected by the audio sliders in the options menu. Fixed some issues where EVAing on to Port Olisar would cause weird character behavior. Fixed an issue where entering a ship via a use prompt (Aurora, 300, Mustang) would cause EVA to behave very erratically. Fixed an issue where entering the back of a ship via EVA will sometimes leave the character sprawled on the floor. Fixed an issue where clients could get into a desynced state after EVAing. Added a audio cue for selecting different IFCS modes. Fixed an issue where Comstab and Cruise mode could not be enabled at the same time. Fixed an issue where the pilot of a ship could eject from their ship while in Quantum Travel. Fixed an issue where the Quantum Travel markers will flicker, if the distance will use 20 or more fuel. Fixed an issue where left-clicking while the mobiGlas was enabled would break the character and draw out the user camera. Fixed a bug that caused AR mode to show the name labels of dead characters. Fixed an issue where multiple player handles would appear on Crusader instances, instead of the UI listing “Multiple Contacts”. Added audio cues to the chat interface, including for chat messages sent and received. Fixed an issue where users could not access Contracts or Party system on the main game menu. Made some additional changes and improvements to Turret deadzone and speed movement. Fixed an issue where pilots of a Gladius and Hornet who are killed while entering the cockpit would result in them respawning inside the cockpit. Fixed an issue where depth of field and field of view effects would persist if the user ejected from their ship while zoomed in. Fixed an issue where missiles were acting erratically in their pathing after having been fired. Fixed an issue where the 300 series of ships were missing parts of the ship where the wings met the body. Fixed an issue where the engine housing of the 315p was missing geometry, allowing players to see through the ship. Fixed an issue where the exit audio on the 350r wasn’t relative to the actual position of the listener. Fixed an issue with the 350r where it was missing panels between the back landing legs. Fixed an issue where the Aurora had a seem running down the middle of the bed. Fixed an issue where the pilot legs would clip through the seat of the Aurora. Fixed an issue where the Aurora had mirrored textures inside of the cockpit. Fixed an issue where the arm chair controls panels in the Constellations had odd white texture panels instead of screens. Fixed an issue where the ejection covers on the Constellation Andromeda were missing detail levels. Moved the radar sphere on the Constellation Andromeda to be less obtrusive in the overall ship HUD. Fixed a texture issue with the dorsal turret windshield tint on the Constellation Phoenix. Fixed an issue where the Constellation Taurus had some very dark objects around the turret and and bridge area. Fixed an issue where the floor underneath the turret seats of the Constellation Taurus had visible seams. Fixed an issue with texture conflicts around the cockpit of the Constellation Taurus. Fixed an issue where the Cutlass Black mechanical-engine audio was extremely loud and at close proximity to the player. Fixed an issue where exiting the pilot chair of a Cutlass Black would cause the characters head to twist around. Fixed an issue where the Cutlass Black had texture conflicts on and around its hazard markings. Fixed an issue where the Cutlass Red was a missing button on the wing of the ship. Fixed an issue where the missiles of the Freelancer were missing detail levels. Fixed an issue where the Freelancer could not be selected on the ship Holotable. Fixed some missing textures on the maneuvering thrusters for the Gladius. Fixed an issue where the Gladius was missing portions of its flight HUD. Fixed an issue where pilots who left the cockpit of their Hornet while in Zero-G could find their ship zipping off into space. Fixed an issue where the M50 interceptor had a backfire-like noise when using the boost. Fixed an issue where the M50 Interceptor landing gear and cockpit ladder would disappear at certain distances and angles. Fixed an issue where there was a mirrored decal on the ring wing of the Mustang (all) causing text to display backwards. Fixed some texture conflicts in the Mustang Alpha cargo hold. Fixed some overly reflective textures present on the sink, toilet and door of the Mustang Beta. Fixed some texture conflicts on the starboard side of the Mustang Gamma. Fixed an issue where the engineering station of the Retaliator was not displaying power readouts. Fixed an issue where the Sabre flight HUD and the Quantum Travel HUD were not centered. Fixed an issue where the Sabre was missing geometry on its starboard landing bay. Fixed an issue where the Sabre was missing some detail levels. Fixed an issue where the large wing guns were missing firing animations on the Vanduul Glaive and Scythe. Fixed an issue where characters could exit the Vanguard Warden by running into the cockpit of the ship and jumping up. Fixed an issue where the LH-86 pistol would float in mid-air if a character is killed while holding it. The Contacts Menu UI has received a readability pass. Added a ship HUD item to display “Time to Cruise Max speed”. Fixed an issue where the space brake keybind would not prevent the ship from strafing. Made several backend improvements to how bass audio is managed. Sieht leider so aus, als wenn das Xian Schiff absolut gewönlich zu fliegen ist, anders als versprochen.